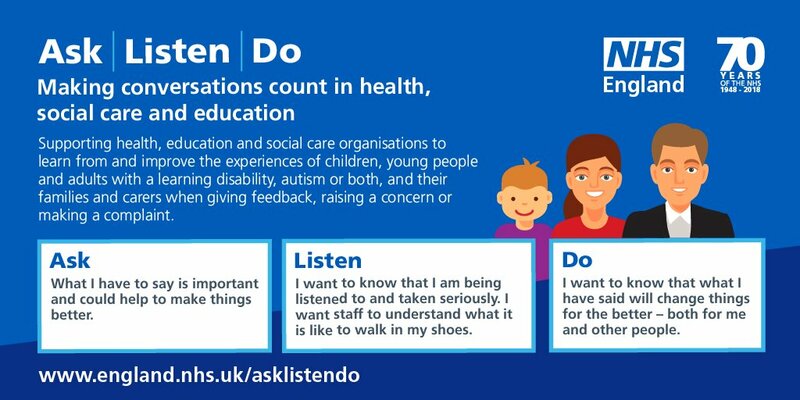 A new NHS initiative Ask Listen, Do aims to make it easier for children and adults with learning disabilities or Autistic people, families and carers to provide meaningful feedback to health, education and social care organisations. The project sets out guidelines for organisations to learn from the feedback, concerns and complaints. Doctors appointments are now available until 10pm to all patients across Portsmouth Monday to Saturday at the Lake Road Health Centre Surgery in Nutfield Place, Portsmouth PO1 4JT. The new service also offers urgent same-day appointments until 10pm every day of the year. If you require an appointment outside of your surgery’s working times you should contact your normal Doctor’s surgery to be put through to the late night service. The new hub surgery will have access to all your medical records so the Doctor or nurse you see will know about your medical history and any drugs you are currently taking. The Lake Road Health Centre has free parking available onsite. Supermarket chain Morrisons is to introduce a quiet hour in its stores every Saturday 9-10am with no music, reduced in-store announcmeents and reduced trolley movements. The initiative is being introduced for customers who prefer a quiet shopping experience. 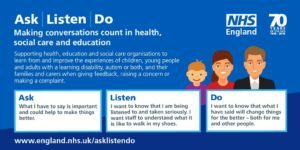 The has been created with the support of the National Autistic Society – many people who are autistic or those with autistic children can find shopping in a supermarket an anxious experience. Morrisons has shops in Portsmouth at the Victory Retail Park and on Anchorage Road. 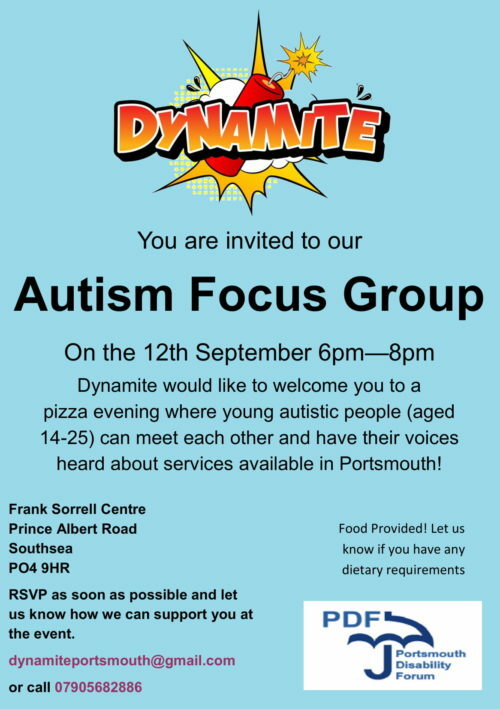 We would like to invite you to the next meeting of the Portsmouth Community Autism Forum this Friday, 6 July 2018, 10am – 12pm. John Pounds is a short distance from the Hard bus interchange and Portsmouth Harbour station – see map on John Pounds website. If you are coming by car and require parking please contact me – parking is available at a reduced rate in the roads near John Pounds or you can park at the Healthwatch Portsmouth carpark in St Georges Square which is a short walk to John Pounds.